Book Description: This book will allow the medical learner to identify and acknowledge bias in the medical setting through the eyes of patients, medical professionals, and content experts who discuss their experiences with this subject. Learners will use self-assessment via the Implicit Bias Test created by Harvard University's Project Implicit, and reflection through knowledge checks, to solidify learning. It is written in dedication to our future medical professionals and patients we care for with the hopes of cultivating compassion through self-knowledge and awareness. This book will allow the medical learner to identify and acknowledge bias in the medical setting through the eyes of patients, medical professionals, and content experts who discuss their experiences with this subject. Learners will use self-assessment via the Implicit Bias Test created by Harvard University’s Project Implicit, and reflection through knowledge checks, to solidify learning. It is written in dedication to our future medical professionals and patients we care for with the hopes of cultivating compassion through self-knowledge and awareness. 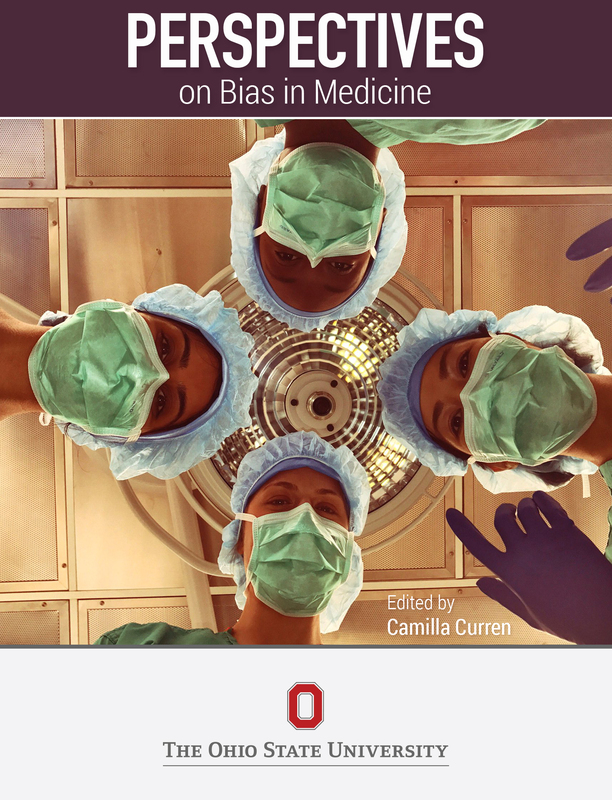 Perspectives on Bias in Medicine Copyright © 2018 by Camilla Curren MD and Curren, Camilla. All Rights Reserved.